Let the force clean your teeth. Nowadays though the toothpick would be fighting a losing a battle against our high-sugar diet, but thanks to our improved dental cleaning methods, the toothpick can sit down and take it easy and only makes it appearance on the dinner table. But now you’re sitting opposite of your date eating a delicious dinner and just when you want to smile about something she said, you feel that there’s something stuck in your front teeth…with your tongue you try to pry it loose, but to no avail…you look at your dish trying to figure out what it could be, if it’s white she might not notice, but ah your eye falls on the little black sesame seeds on your dish and you know that you have a problem…. 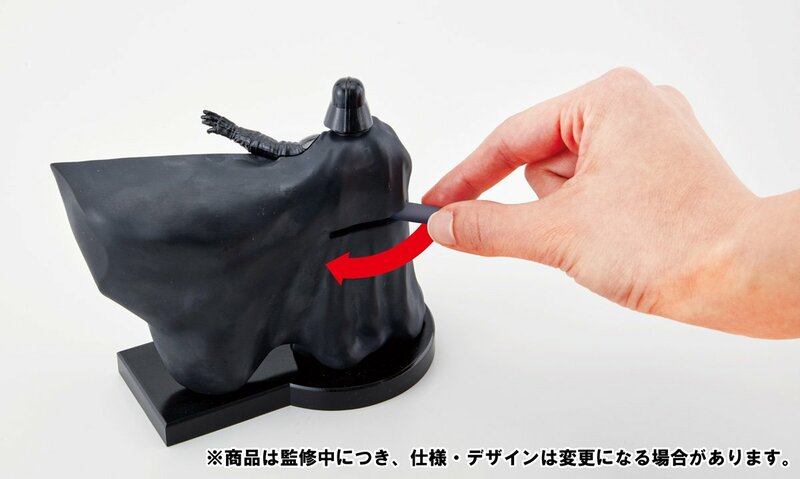 How you wished that you had paid attention to this site..you would have known about the tooth saber from Bandai. This is maybe the second best thing to a real light saber for getting rid of unwanted food particles in your mouth. 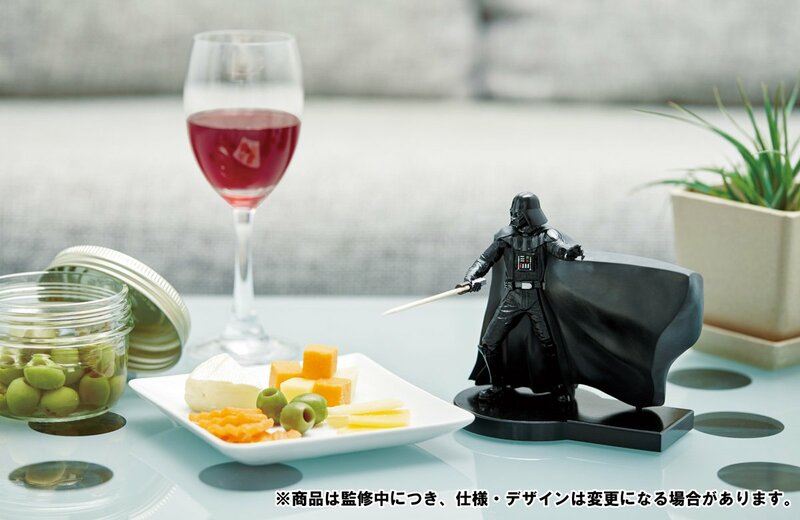 It’s genius really, you have this little Darth Vader figure on your table, looking all mysterious, and when you pull the lever on his back, he’ll hand you a toothpick hidden in his cape. There are a total of 10 toothpicks hidden in his cape. 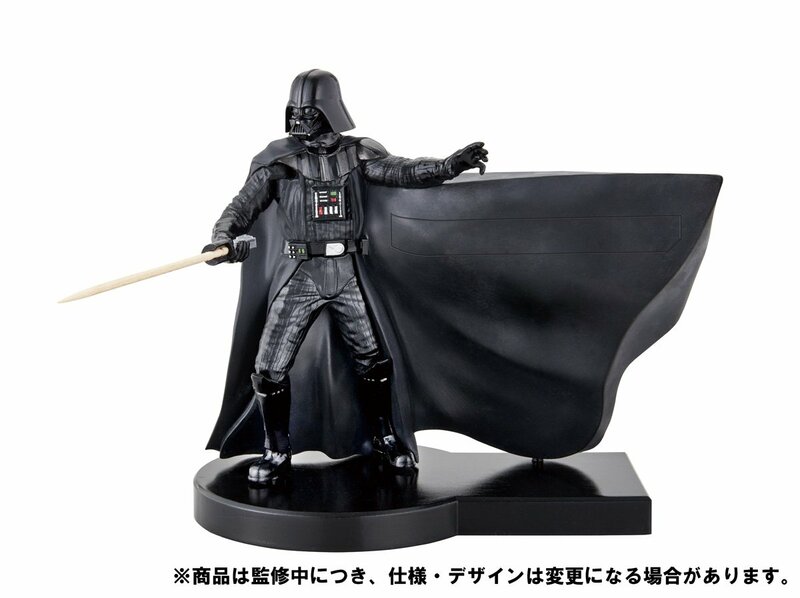 It’s genius for other reasons too, you can finally put a Star Wars figure in the living room without anyone making a fuss,and if you run out of talking material, you can say “let me show you a trick”, and fill up another 10 minutes with conversation. Of course toothpicks also make for great finger/fork substitutes. 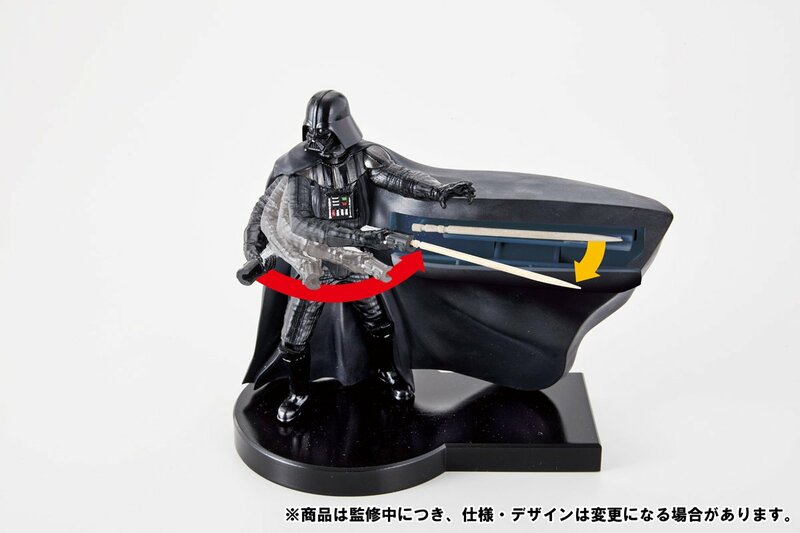 The Darth Vader ToothSaber is now up for pre-order with estimated release in June, and the price is 2,627 yen. The ultimate Star Wars PC! Since Star Wars fans tend to be a pretty die-hard bunch, it’s probably not a wise idea to openly express apathy towards the franchise whilst in the presence of the same. Since you’re reading this, you’re probably a bit of a Star Wars nerd – and that’s totally fine! But it’s also surely okay that, while I think I saw the original trilogy at some point in my childhood, they never really made a lasting impact on me. All I recall are some furry things, Harrison Ford looking suave, and Darth Vader’s creepy death mask. But if you are one of those til-the-death Star Wars fans (what do they call you, anyway? Star Warians? Where’s your catchy collective noun? ), then you’ll surely be drooling over this new fancy-schmancy Star Wars laptop from HP, featuring none other than the big cheese himself. The new Star Wars Special Edition Notebook PC was announced on October 14 by Hewlett Packard and will go on sale from November at the price of 120,000 yen (US$1,000). As you can see, the facade is suitably spooky and Dark Side-y, with Vader’s ugly mug appearing as a tasteful and not too overpowering design feature. In fact, probably only a fellow Star Wars fan would even immediately notice the face of Luke Skywalker’s daddy, meaning that purchasing this laptop could be a cool way to make new friends as you tap away self-importantly at Starbucks. Another feature of the design that I initially failed to notice is the palm rest which features not specks of dust, as I originally thought, but the visage of a couple of white-helmeted Storm Troopers. Can you spot them in the picture below? The track pad in the centre of the keyboard is also another important feature, in that it is shaped like the X-Wing Fighter’s guide system. I have no idea what any of those words mean, but I’m sure that you do, so not to worry. Finally, let’s talk specs. The laptop features a 15.6-inch screen with a full HD display, and some other stuff which you don’t care about because you just want it because it’s got Vader on it. And there’s nothing wrong with that. May the Yoda be with you, and all that. Happy laptoping!